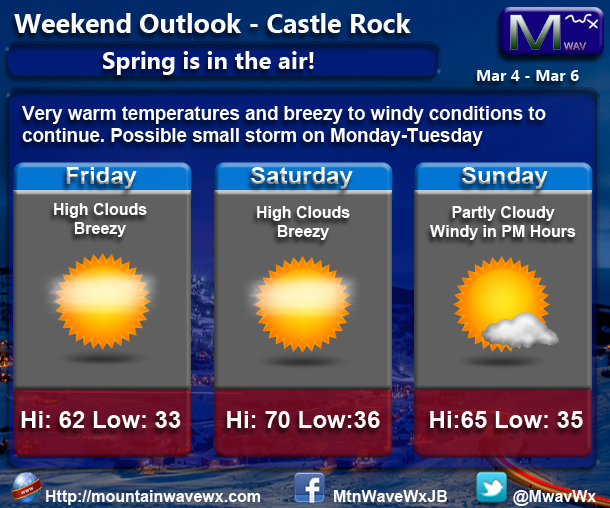 At the risk of sounding like a broken record… This weekend will feature more above average temperatures and wind. 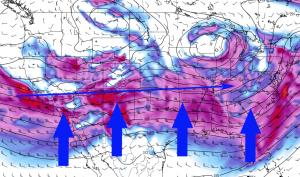 The weather hasn’t been too terribly exciting along the front of Colorado for the past few weeks, not since the beginning of February have we seen significant snowfall or storms. Expect warm days and nights over the weekend with daytime and nighttime temperatures well above average. The wind will stick around too, the worst wind conditions will most likely come later in the day on Sunday in advance of a storm system. If you are out and about this weekend remember the sunscreen! A small storm system moving through on Monday into Tuesday gives us the best chance for moisture along the front range. 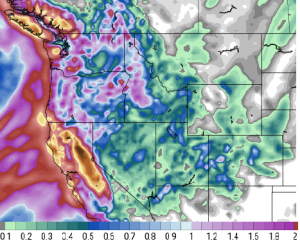 The GFS predicts about .5 inches of precip. for Denver which given how temperatures along the front range will reach the 50’s I imagine most of this will fall as rain. The bad news is when I fast forward the model out another 7 days, I see no more significant moisture east of the divide. The mountains look to get some decent shots of snow over the next 7 days but the front range will be lacking in that department. When’s the Next Big Snow Storm? That’s the big question right now, at the current time I don’t see anything significant on the horizon as far as a major storm system. That’s not to say that things couldn’t change very quickly though and I’ve discussed before how long and medium range models are good for a “general” look at the weather but, they can change quickly and are sometimes not terribly accurate. This flat orientation is going to be great for California’s drought as it will bring a ton of moisture to that area. For Colorado it is mediocre at best for our mountains and not good for the Eastern half of our state. Any moisture gets wrung out in California, leaving only a bit left of our mountains and by the time it makes it to Denver, the air is very dry. The later we go into March, the less our chance of a major snowstorm is. The longer days and higher sun angles make it more difficult with each day to accumulate large amounts of snow. Not time to panic yet (if you’re waiting for the big blizzard this spring) but there are some causes of concern here. I’ll have another update early next week with a more detailed longer term outlook.